"37000-Eagle One A2Z Tire Foam Acid free foam action removes grease, grime and brake dust. Restores tires back to black. Safe for all factory coated wheels. 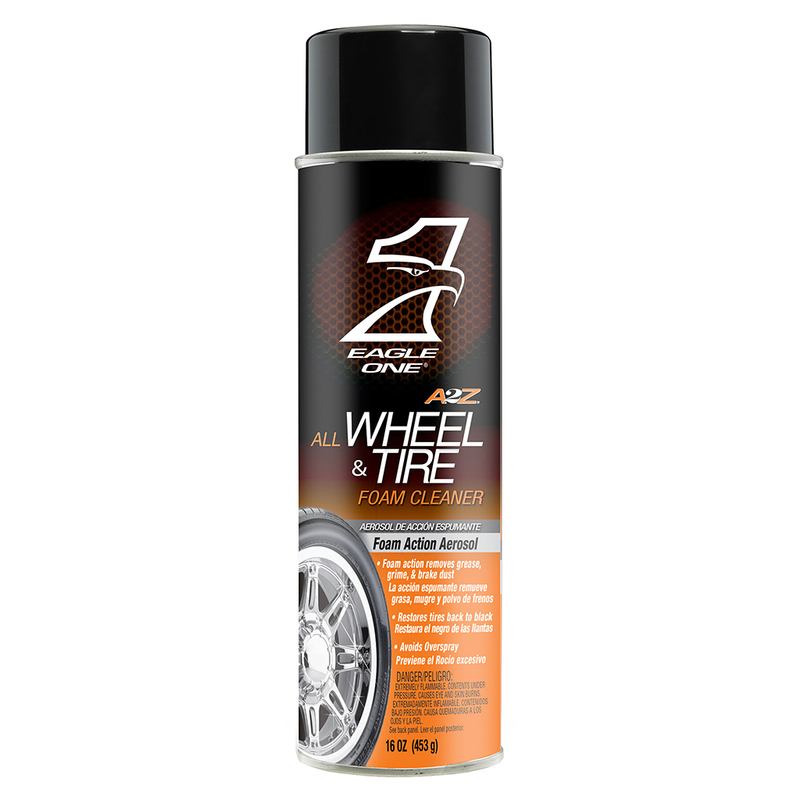 ~ Acid free ~ Removes grease, grime, and brake dust ~ Restores tires ~ Safe for all factory coated wheels ~Mfr Catalog No. 68627"
Acid free foam action removes grease, grime and brake dust. Restores tires back to black. Safe for all factory coated wheels.